In January 2018, I went to Rwanda for the Kigali tours and gorilla safari Adventure of which I first searched for the best tour company to use because I did not want any interruption in my tour and I found out that most Rwanda’s tourists use the Eco Tours Rwanda of which I also decided to use for all the bookings and make my tour a good one. The company provided me with a Land cruiser vehicle together with a driver since though I knew how to drive, but I just wanted someone to accompany me for the easy exploration of basically Kigali. My tour was budgeted to be for 10 days therefore I wanted to see most of Kigali’s adventurous places. In Kigali city, I was booked a hotel there where I was to originate when am going for the tours in the city. My hotel was called Serena hotel Kigali and it was very luxurious. It consists of a lounge bar, restaurant, Free WIFI, swimming pool and many more. My first day I started with visiting Kigali and I had someone who could tell me all the findings I realized in every part of Kigali we passed by. Here I came to see some of the shopping malls in Kigali and the biggest was Kigali city tower which gives a nice view to any tourist. While driving on the good and clean tarmac roads of Kigali, we were having some conversation with my driver who told me various things about Rwanda’s culture and ethnic groups. 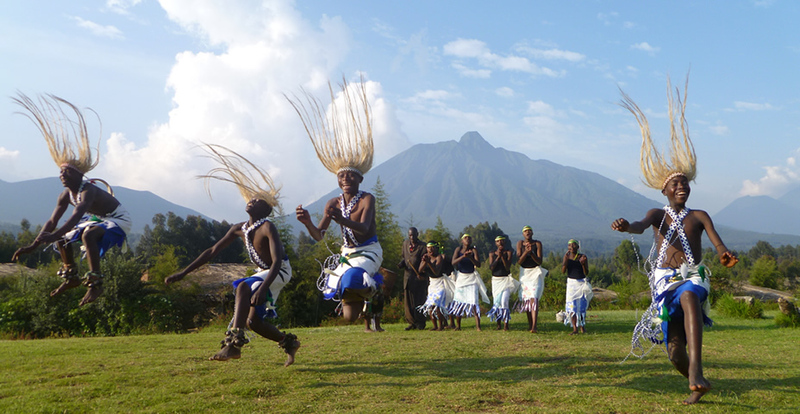 Unlike other African countries, Rwanda is a unified country with a varied culture where by the people of Rwanda shares a single language and a single heritage. The most popular ethnic group in Rwanda is the Hutu who are 85% of the population plus others being the Tutsi who covers 14% and 1% are the Twa. I visited many Genocide Memorial sites in Rwanda which included; Kigali Genocide Memorial Centre, Gisozi memorial site, Nyamata memorial site, Murambi Genocide site, Gisenyi memorial site, Ntarama memorial site, Bisesero memorial site, Nyanzi memorial site and Nyarubuye memorial centre of which on every site I reached, I was told and given details about the genocide and how Rwanda recovered from the past history. I was also given videos which clearly revealed me on how everything happened thus obtaining a great experience as I enjoyed my tour too. I also visited the Bugesera reconciliation village which inhabits all the survivors of the 1994 genocide which had left discrimination between people and most of them had become enemies. Therefore, the government set this place for people to reconcile which has been a success and I was able to interact with most of them and narrated to me about those hard days and how they are living life nowadays. I came to know that in Rwanda, the week following Genocide Memorial Day on 07th April, is designated an official week of mourning and the last Saturday of each month is a UMUGANDA, a national day of service during which most normal services close down. My driver continued and told me about many other things about Rwanda including music which he told me that it is the most famous in Rwanda and according to what I also evidenced. The biggest airport in Rwanda is found in Kigali and it is known as the Kigali international airport, I found out that it is the 7th best airport in Africa and Kigali is still made up good night clubs which are good especially for revelers and clubbers. Some of which include Leah Feiger, Choma’D, Trophy’s sports lounge, Sun downer, Papyrus, Envy, Le Must Pub, Coco-bean, Rosty club, Ubumwe Grande Hotel, K Hotel and these night clubs is where many local and other African artists entertain the citizens/revelers/clubbers of Rwanda. After Kigali city tour, I ended my tour to Volcanoes national park for gorilla tracking which went on smoothly for me because my gorilla permit was already purchased by Eco Tours Rwanda when I was still in my home country therefore I just rushed straight to the Park. I left Kigali at 04:16am and reached the Park at 06:43am and I was able to start the activity which we started at 08:00am however we were first pre – briefed about the activities done in the Park. During the time of briefing, we were told to be 8 individuals per group, to ensure that we are physically fit and not sick because the activity of gorilla tracking is challenging plus maintaining maximum silence during tracking and many more. The Park has good luxurious lodges and I had a chance to sleep in one of the best lodges in the Park known as Sabyinyo silver back lodge which consists of a bar, free WIFI, Restaurant and many other luxurious things. I first had to take breakfast before going in for any activity in the Park which is served on the restaurant of the lodge and while in the Park, we were all allowed to go back to our lodges for lunch and at night they served us good food for supper. From the Park I got involved in many activities including gorilla tracking, bird watching, nature walks, game drives, game viewing and the hiking of Sabyinyo volcano which was near to my lodge. I visited some lakes in the Park and I also enjoyed what I experienced from there because I saw aquatic birds and animals such as hippos and crocodiles. Therefore, all that evidences that the place is so photogenic and I was also able to take as many photos as I could which I showed to my friends, relatives and other country-mates. I really enjoyed my tour to Rwanda with the aid of Eco Tours Rwanda due to its kind, caring, professional and friendly staff.